10 best meditation apps for Android! Many people vaunt the usefulness of meditation. The claims are that it improves health, your mental faculties, and more. We’re not medical professionals, so we’re not going to attempt to prove or disprove those notions. However, we do know of some really good apps to assist in meditative practices. Here are the best meditation apps for Android! We have some more articles here that you might find helpful! Aware is a meditation service. It's also quite popular with its user base. It essentially teaches you how to meditate. There's a step-by-step, day-by-day guide. It starts with stuff like counting your breaths and then eventually moves on to more complex things. There is another section for Engergizers. They are meditation practices you can do at any time. The app is free for the first seven days worth of content. From there, you have to pay $3.99 per month or $29.99 per year to get the rest. The free version is fine for testing, but the premium version is probably best for intermediate level meditation. Calm is one of the more expensive meditation apps. It does boast a lot of content, though. Some of the features include meditation sessions that are between three an 25 minutes long. There is also a 10-minute daily program, a seven day program, a three week program, and other content. You can also track your progress in the form of time meditated and daily streaks. Like we said, this one is very pricey. We recommend trying out the free stuff first to make sure it's what you really want first. Otherwise, it works really well. This is a good one for advanced meditation fans. Daily Meditation is one of the simpler meditation apps. It offers daily ideas and meditation practices. That way you can get it in every day if you need to. It also includes some helpful meditation info, tutorials, tips and tricks, and more. There are even audio elements such as music, gongs, and bells should you want them. The free version covers about 12 days as a trial period. You can get the full version for a single $3.99 payment. 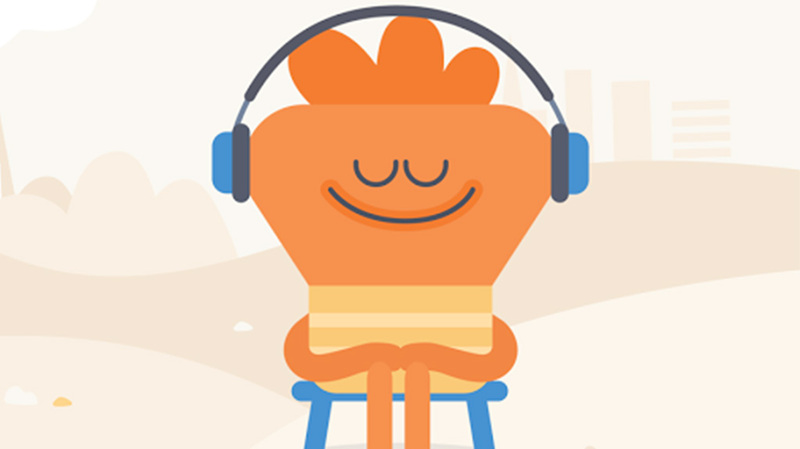 Headspace is one of the most popular meditation apps. It boasts meditation practices for both beginners and experts. There are also programs for whatever frame of mind you want. It also includes SOS sessions for quick meditation sessions. There are hundreds of programs to choose from. You get some of the basic stuff for free. You must subscribe to get the rest of it. It also includes a price break if you pay for a year as well as a price break for friends and family plans. This is another excellent app for beginner, intermediate, and expert meditation fans. Let's Meditate is one of the rare, free meditation apps. It's not exactly barebones. However, it doesn't have a whole ton of features. It does feature 30 guided meditations and a simple interface. You also get offline support, multiple guided meditation lengths, and more. Ironically, the lack of features really gives this a simple, zen feeling. You won't be moving around the UI trying to find stuff very often. Other than that, it's a simple little app. It also contains no in-app purchases or advertisements. There are optional donations if you want to support development. Take a break and check out more app list recommendations! Pacifica is one of the more unique meditation apps. It doesn't just do meditation. The app actually focuses more on mental health. It uses meditation as one of many tools to do so. Some of the other stuff it does is cognitive behavioral therapy, relaxation techniques, mood tracking, and health tracking. Users can even keep a stress and anxiety journal. There is a lot of stuff in this app. More than we have space for here. You can use a lot of it for free for a bit. You do have to subscribe to get everything. Prana Breath is a good middle grounder for meditation apps. It features a variety of meditation practices, including eight breathing patterns, customizable breathing patterns, reminders, and even a program for quitting smoking. We imagine that one has mixed results, though. The premium (guru) version gives you health tests, various breathing methods and charts, and a lot more. It's a subscription service. However, it is also the cheapest subscription service of any app on the list. This one is jam packed with features, especially for people who like to customize their experience. Simple Habit Meditation is a fairly large meditation app. It boasts a library of over 1,000 guided meditations. You get about 50 of them for free. Some other features include customizable meditations, meditation for various moods, and recommendations. It also features meditations guided by various people, progress tracking, and a lot more. Even the UI is pretty nice. You get a seven day trial for signing up. After that it's $7.99 per month. Spectrum is an above average meditation app. It takes the approach that more content is better and, thus, there are a ton of meditations here. It boasts over 1,000 audio tracks, including daily featured tracks for meditation. You also get a timer, offline support, a looping feature, and hundreds of meditation combinations. The free version comes with a fraction of that stuff, but there is still a lot of content available. This is probably best for beginners in the practice of meditation. More experienced people may need something a little more organized and advanced. Stop Breathe and Think is a decent meditation app. It tries to focus more on things like stress and anxiety. Frankly, they all do, but this one focuses more heavily on those two in particular. It features guided meditation, check-ins, a timer, meditation tracking, and all of the basic features. It also features a fun mood tracking mechanic that we liked a lot. You can download the app for free. It recently went to a premium subscription service like many of its rivals. Thus, we recommend this only to people who don't mind paying for it because that's where all the good features are. Thank you for reading! Here are some final ideas for ya! If we missed any great meditation apps, tell us about them in the comments below! You can also click here to check out our latest Android app and game lists!